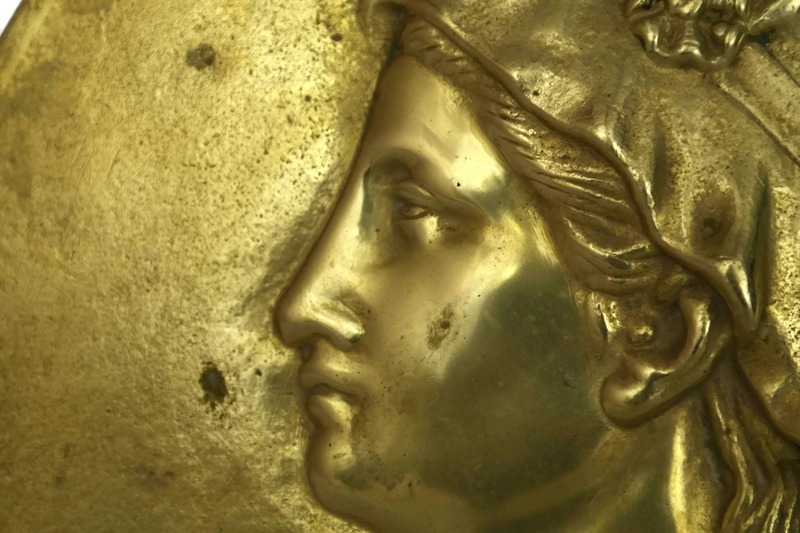 Woman Portrait Profile Wall Hanging Plaque. 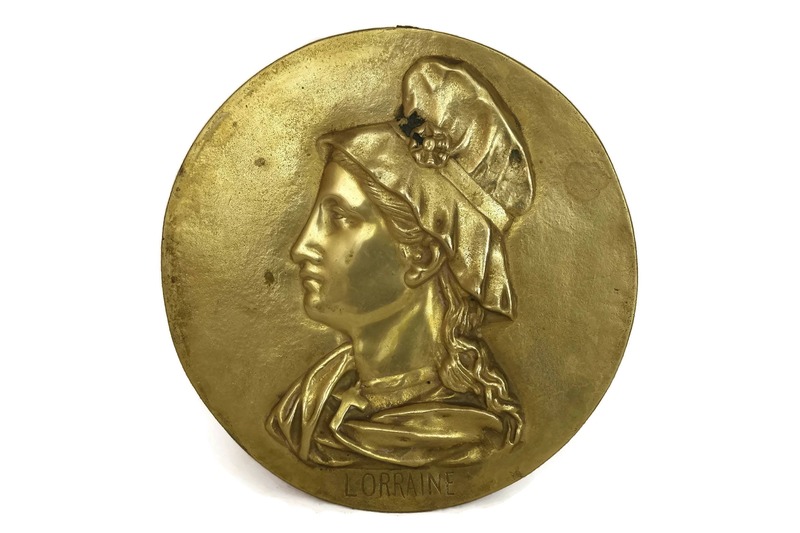 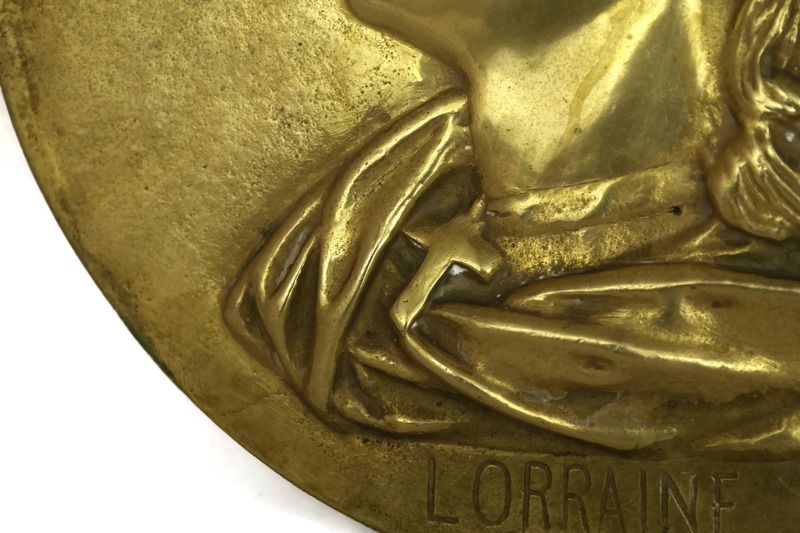 French Lorraine Antique Bronze Medallion Souvenir. 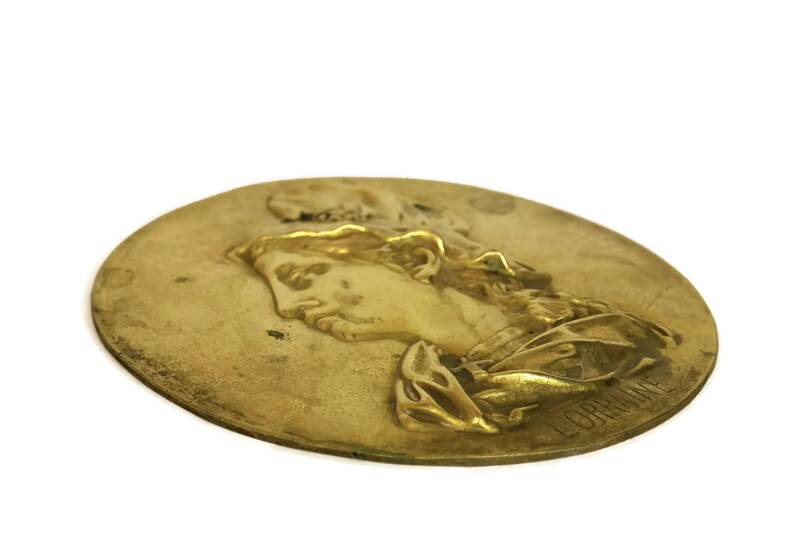 France Home Decor. 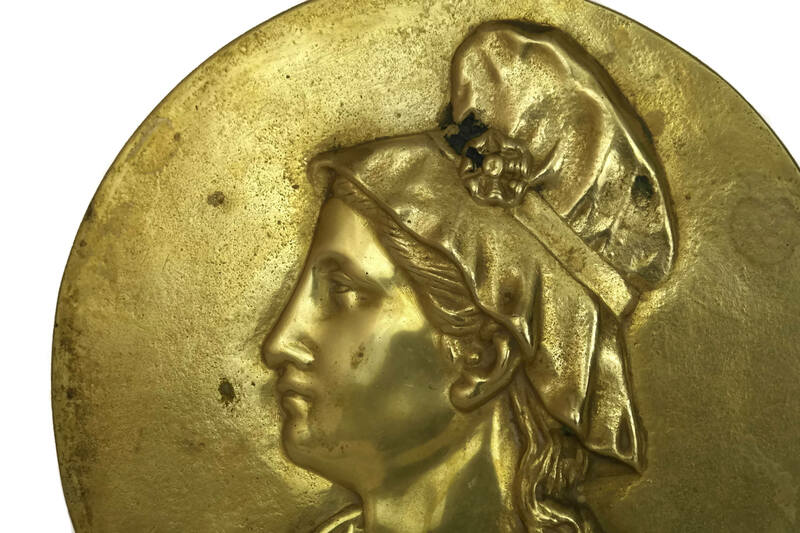 A magnificent antique woman portrait wall hanging plaque made in France during the late 1800s. 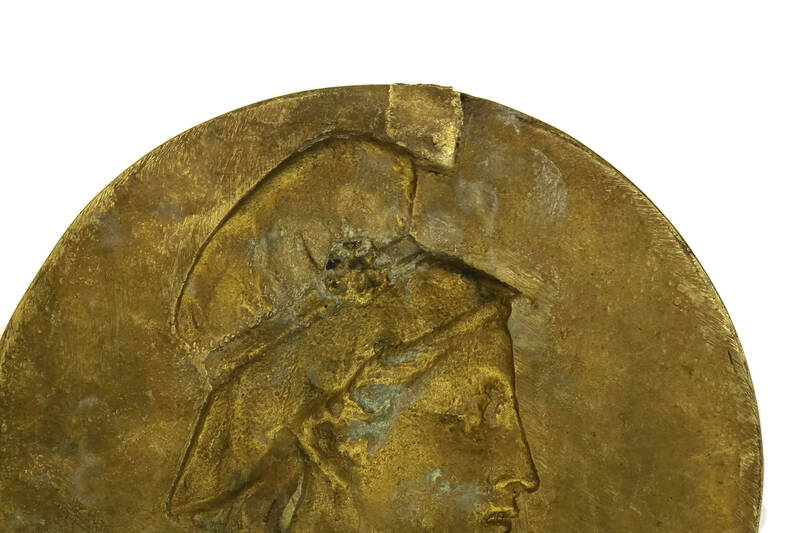 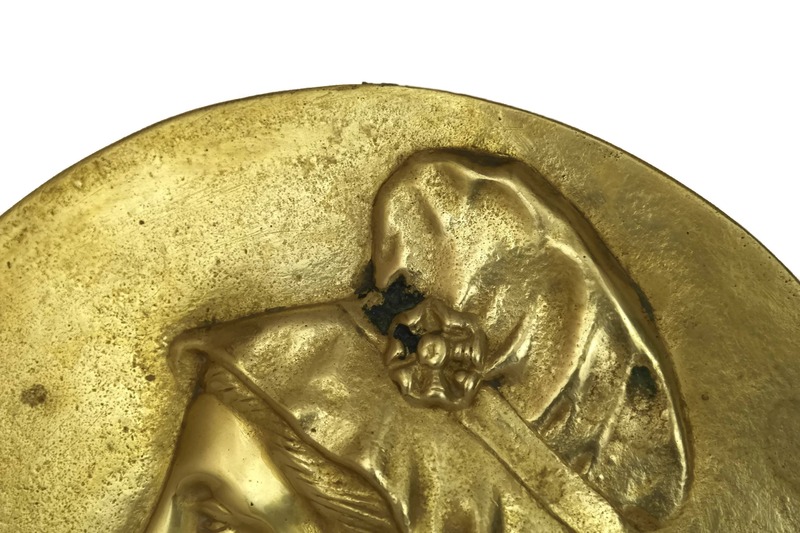 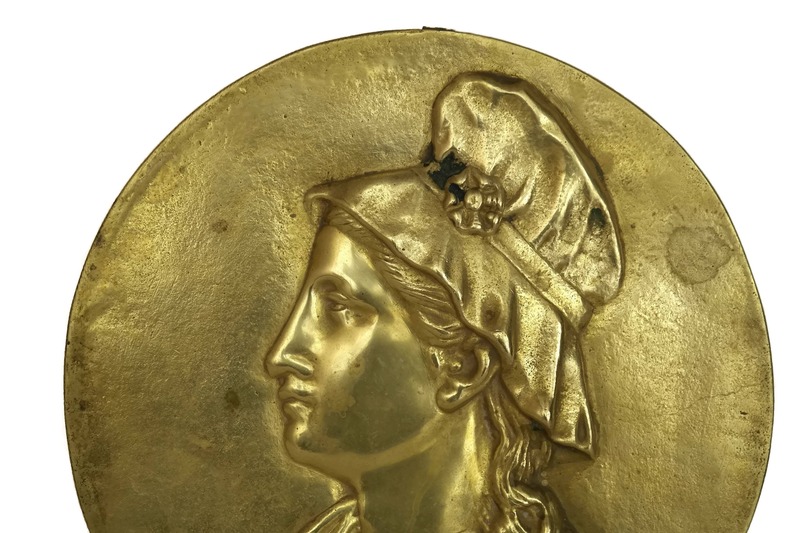 The large medallion has been cast from solid bronze and features the profile of a lady wearing the traditional dress from the French region of Lorraine. 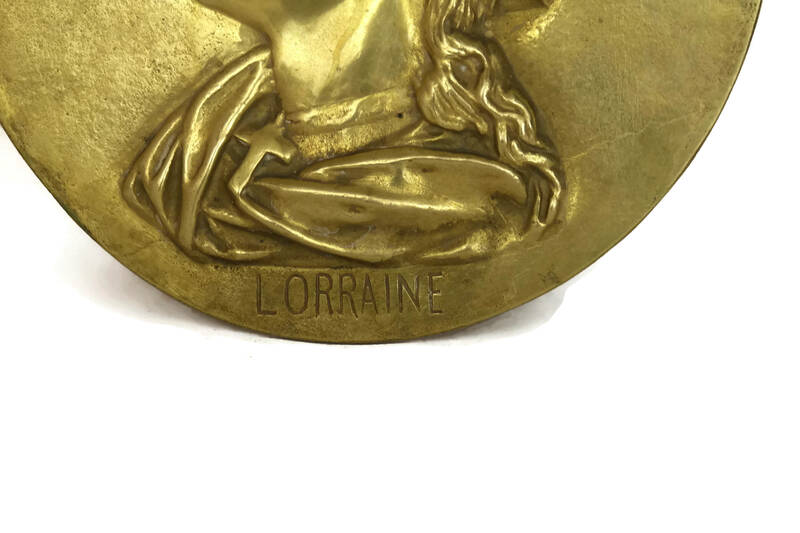 The base of the portrait has been inscribed with the name Lorraine. 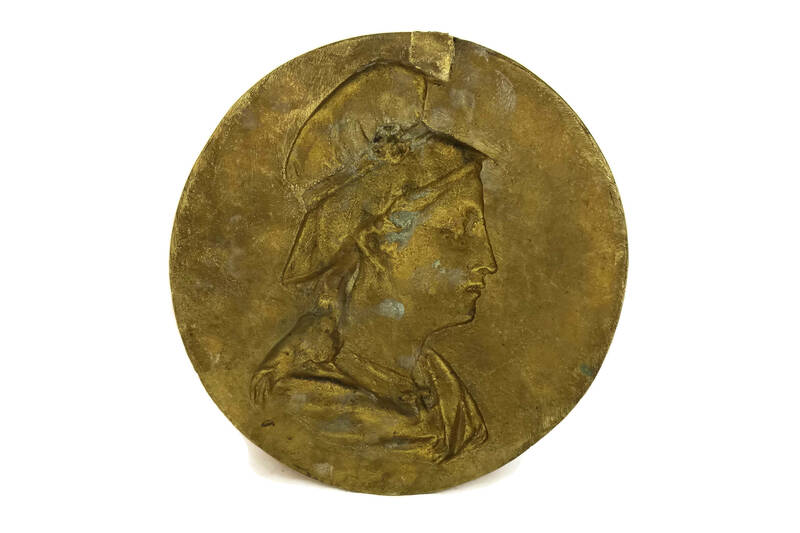 The souvenir wall plaque is in very good condition with light wear and patina.